“Trump is statistically more popular in south east countries, mainly the Middle East,” indicated a survey carried out by a mobile app by the US-based Evey in partnership with Al Arabiya News Channel. 68 percent were men and 32 percent were female, showing an inclination for women to prefer Democrat presidential candidate Hillary Clinton. The poll, however, did not specify how many people in the Middle East were questioned. “being a man explains 50 percent of the Trump voter profile,” the report further said. 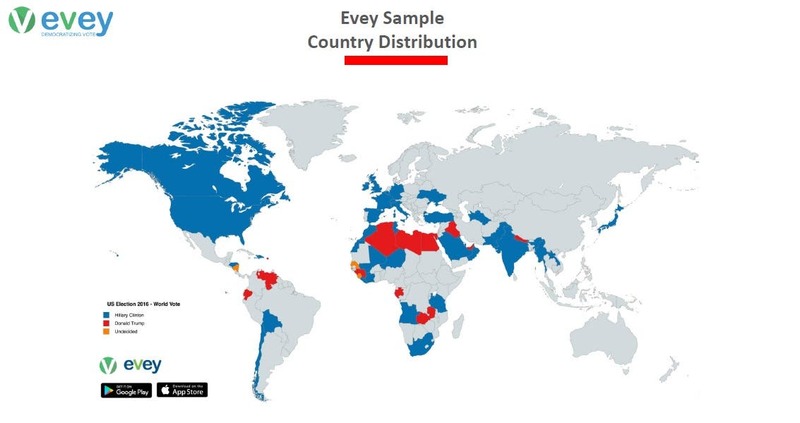 Graphs provided by Evey also shows a mixed preference for the candidates in the Middle East and North Africa. With countries such as Iraq, UAE, Egypt, Libya, Algeria, their maps showed preference toward Trump while Saudi, Oman, Tunisia, Mauritania for Clinton. While, other Middle Eastern countries such as Iran, Jordan, Lebanon, Syria and Yemen were not the part of the study.